Strictly Come Dancing Series 13. Videos & Leader Board here! Full voting breakdown for Series Thirteen will be available here: SERIES 13 VOTING. 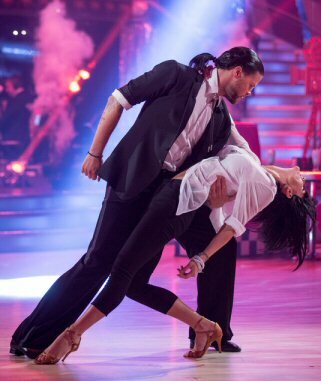 Keep up to date with all the news and information on series 13 of the BBC's hit show Strictly Come Dancing. Series 13 will air on BBC1 prime time, Saturdays, commencing with the launch show on Saturday 5th September. The show will follow a similar format to previous series, this time with 15 couples taking part (7 female celebrities and 8 male celebrities). 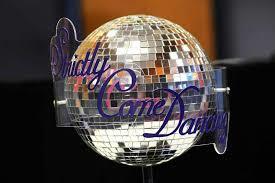 BBC2 continues the "Behind the scenes" programme "Strictly Come Dancing - It takes two" presented by Zoe Ball. This show will air week nights 6.30pm - 7.00pm with a special hour long edition on Friday's. The competition will initially air on Friday/Saturday nights starting in September. The first two weeks will see an accumulation of the scores, then the voting lines will be opened. There will once more be a "dance off" where the two couples with the lowest scores after the judges & public votes are combined will have to perform again. The judges will then make the final decision on the couple to leave the competition. There will be one special performance live from the Blackpool Tower Ballroom. The winners of the 13th Strictly Come Dancing Series - Jay McGuiness & Aliona Vilani. 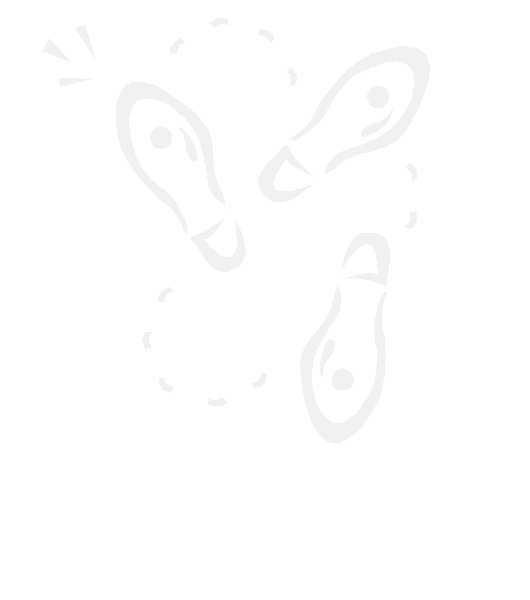 You can keep up to date with everything "Strictly Come Dancing" on this page. (Note: Please also visit the BBC's official site Here). Those marked with * against their names, indicate that the professional dancer is new to Strictly Come Dancing. Pro's with "Web" after their name indicate that they have a website - click the link to be taken to their site. 3 new pro's this year. Gleb Savchenko, born in Russia, he has a Latin American background and has appeared in the US version of "Dancing with the stars". Giovanni Pernice, born in Sicily, he has a Latin American background. Otile Mabuse, born in South Africa. She is multiple times South African Latin American Campion, and has competed in the German version of "Strictly Come Dancing". Bruno is a top choreographer and has worked on countless films, plays, music videos, commercials, concerts, trade shows and TV shows. Darcey is best known for her career as principal ballerina for the Royal Ballet. Len was a professional dancer and is now a professional judge. Len runs his own dance school in Kent. Craig is a top theatre choreographer and received an Olivier Award for his work on the West End musical Spend, Spend, Spend. Jay McGuiness & Aliona Vilani are winners of SCD series 13, placing 3rd in the judges scores, but this year the winner was based solely on public vote. The second placed couple are Kellie Bright & Kevin Clifton. Being placed 1st in the judges scores after 3 dances, but the public disagreed meaning they are runners up. The third placed couple are Georgia May Foote & Giovanni Pernice. Placing 2nd in the judges scores after 3 dances, but the public disagreed meaning they are 2nd runners up. The fourth placed couple are Katie Derham & Anton Du Beke, leaving after two dances. The Semi Final and the eleventh couple to go are Anita Rani & Gleb Savchenko, placing 4th in the judges votes, and coming in the bottom 2 after the public vote along with Katie Derham & Anton Du Beke. The judges decided that they were the weakest and were voted off. Next week is the Final. All couples will dance a "Judges Pick" dance, followed by a showdance. Then one couple will be voted off. The 3 remaining couples will then dance their favourite dance from the series and a final decision will be made. The tenth couple to go are Helen George & Aljaz Skorjanec, placing 5th in the judges votes, and coming in the bottom 2 after the public vote along with Georgia May Foote & Giovanni Pernice. The judges decided that they were the weakest and were voted off. The ninth couple to go are Peter Andre & Janette Manrara, placing 7th in the judges votes, and coming in the bottom 2 after the public vote along with Kellie Bright & Kevin Clifton. The judges decided that they were the weakest and were voted off. The eighth couple to go are Jamelia & Tristan MacManus, placing 7th in the judges votes, and coming in the bottom 2 after the public vote along with Peter Andre & Janette Manrara. The judges decided that they were the weakest and were voted off. Next week the couples will dance two dances. The seventh couple to go are Jeremy Vine & Karen Clifton, placing 9th in the judges votes, and coming in the bottom 2 after the public vote along with Jamelia & Tristan MacManus. The judges decided that they were the weakest and were voted off. Next week the show will be live in Blackpool Tower Ballroom. The sixth couple to go are Carol Kirkwood & Pasha Kovalev, placing 10th in the judges votes, and coming in the bottom 2 after the public vote along with Kellie Bright & Kevin Clifton. The judges decided that they were the weakest and were voted off. The fifth couple to go are Kirsty Gallacher & Brendan Cole, placing 10th in the judges votes, and coming in the bottom 2 after the public vote along with Jamelia & Tristan MacManus. The judges decided that they were the weakest and were voted off. The fourth couple to go are Ainsley Harriott & Natalie Lowe, placing 9th= in the judges votes, and coming in the bottom 2 after the public vote along with Jamelia & Tristan MacManus. The judges decided that they were the weakest and were voted off. The third couple to go are Daniel O'Donnell & Kristina Rihanoff, placing 10th in the judges votes, and coming in the bottom 2 after the public vote along with Kirsty Gallacher & Brendan Cole. The judges decided that they were the weakest and were voted off. The second couple to go are Anthony Ogogo & Otile Mabuse, placing 13th in the judges votes, and coming in the bottom 2 after the public vote along with Ainsley Harriott & Natalie Lowe. The judges decided that they were the weakest and were voted off. The first couple to go are Iwan Thomas & Ola Jordan, placing 15 in the judges votes over the first two weeks, and coming in the bottom 2 after the public vote along with Jamelia & Tristan MacManus. The judges decided that they were the weakest and were voted off. The first week is over and all celebrities have danced one discipline. Next week they are all back to dance the opposite discipline. Their scores will be added together over the two weeks and they will go to the public vote to see who is the first to go. SCD 13 Page Updated with confirmed professionals who will be dancing and their celebrity partners. You will find the current Leader Board below. W1 to 10 Grey Shaded Cell shows that couples were dancing the Pro's specialist discipline. W11 to W13: Grey "dance" letter indicates couples were dancing the Pro's specialist discipline. W10: All couples dance "competition style" Quickstep. Eliminated one by one, marked 7 points for 1st, 6 for 2nd etc (marks included in the overall total). Note final placings may not reflect by the points, but indicate actual placings given on results show. "Strictly Come Dancing: The full line-up" From:bbc.co.uk 28/08/15. Return To Ian & Victoria's Current News.